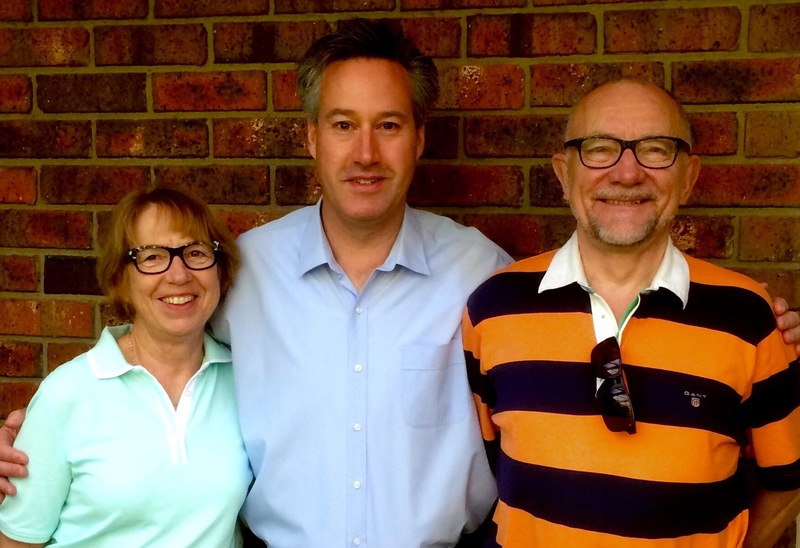 This week, I was delighted to welcome my host parents, Olavi and Rita, from my second host family to our home in Canberra. It was their first visit to Australia. 25 years have passed since my Rotary Youth Exchange in Finland, and it was only the second meeting with my host parents after my first visit to Finland [since my exchange in 1989] in 2010. After a tour of New Zealand, Olavi and Rita made a special effort to travel over to Australia to experience a small snapshot of my country. I was thrilled that Olavi and Rita had travelled so far to meet with my family and I, and experience a small slice of my life in Canberra. I delighted in presenting Canberra to my hosts, explaining its origins and showcasing some of Canberra’s national institutions. Olavi, Rita and their two sons, Petteri and Miika, were so generous to me during my stay with them as a Rotary Youth Exchange student in 1989. I’ll never be able to repay them for their generosity to me, not only during my stay with them but also during our family’s visit in 2010. On reflection, by becoming a host parent myself to a new generation of exchange students, I’ve attempted to pay it forward and show my gratitude to my three Finnish host families by hosting students in our home ourselves. After Olavi and Rita’s stay with us, they then made their way to the State of Victoria where they were then able to visit another ex-Rotary Youth Exchange student whom their family hosted in 1988. Little did I know back in 1989 that the binds of international friendships could remain strong over 25 years. So much so that it also presented an opportunity for my daughter to experience a visit to Finland and enjoy the company of my generous Finnish host families and friends during her Rotary Youth Exchange in Germany this year. In years to come my daughter may be able to offer similar opportunities for her own family through the wealth of experiences and friendships that she has touched during her Rotary Youth Exchange this year. Since my exchange in 1989 and my daughter’s exchange this year the world has become much smaller and, for us, a place with many generous people and many special international friendships. It’s something that we will both hold on to very tightly in years to come. I decided to check out your blog! What Rotary District is your daughter located in? Such a cool coincidence! I’m the only Aussie in mine. Thanks for your comment. I have enjoyed following your blog posts; I follow several current and ex-Rotary Youth Exchange students through their blog sites including a member of your German Rotary District’s cohort: Lily. My daughter, Madeleine was also hosted by Rotary District 1890 in Flensburg from January 2014 and returned home in January this year and is now currently completing Year 12. A number of your oldies in your Rotary District will remember Madeleine. She was the only Aussie in Flensburg and one of three Aussies in the Rotary District. Here’s another coincidence for you: I was sponsored by District 9650, (Tamworth West Rotary Club, in Northern NSW) during my Rotary Youth Exchange year, and I note you’re sponsored by the Gloucester Rotary Club, located in the same Rotary District. Inspiring post… makes us all wish we had joined the Rotary Youth Exchange Program! I would strongly recommend you and your children consider the Rotary Youth Exchange program, if it’s something you think may inspire them and they may be interesting in undertaking David. They already have a very international outlook due to their having lived in two countries, cultures and languages. What a lovely way of looking at exchange. So glad you were able to host your host family!